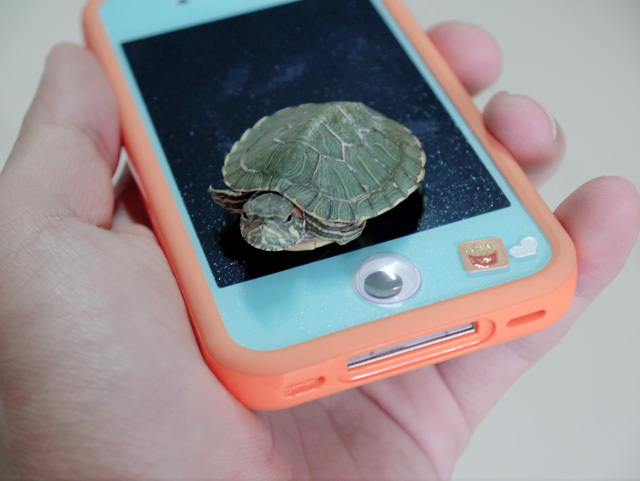 Okay, I'm here to show you guys the current state of my phone again!!!! 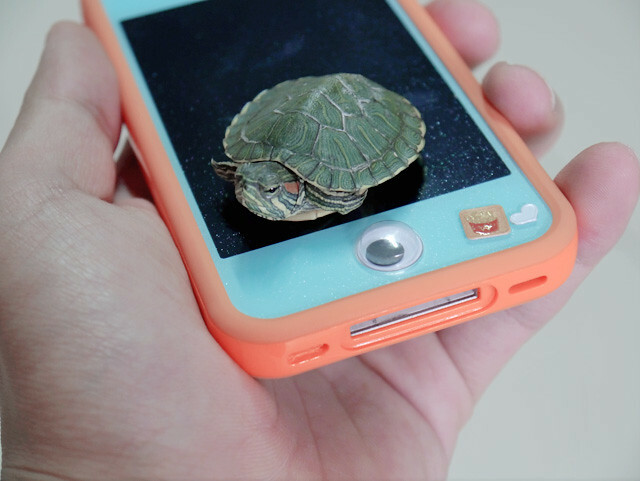 But it's not really say very current though, cause I just changed my cover again (now I'm using a lime green cover as compared to the bumper you guys will see later)! Hahah! 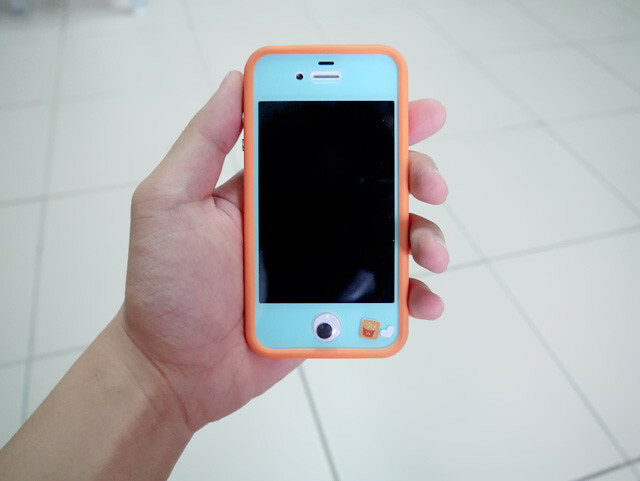 Seriously, the look of my phone is ever changing one okay, I think the frequency of me changing the cover is around every 2 weeks or so! Yes this is it! 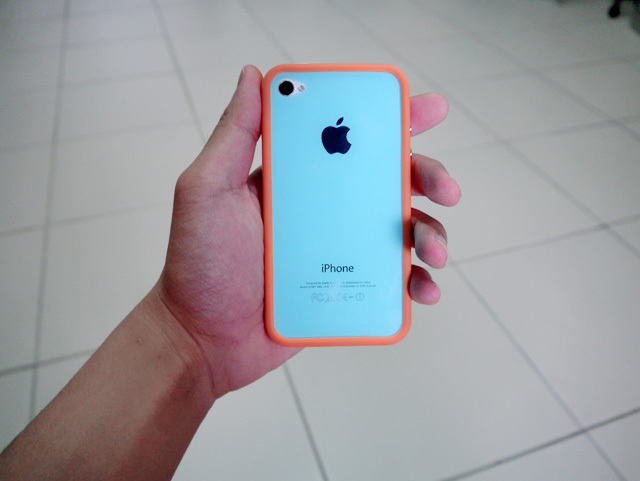 I call it the candy phone for now lol cause the colours like so candylicious! 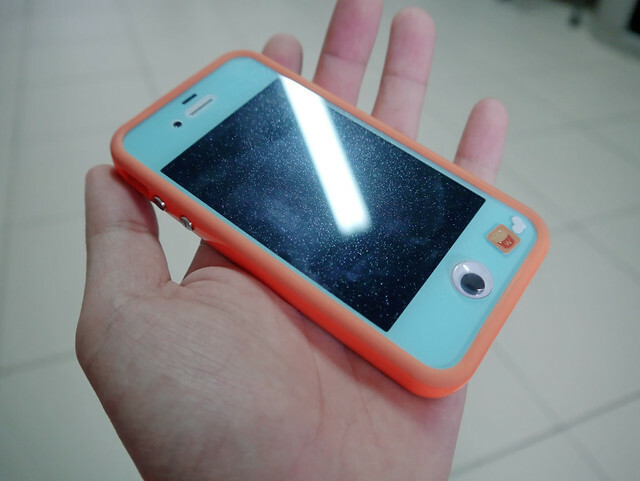 Basically it's just a orange bumper, with blue glitter screen protector, with a 'eyes sticker' on the home button and some random tiny french fries stickers at the bottom right! Hahahah! 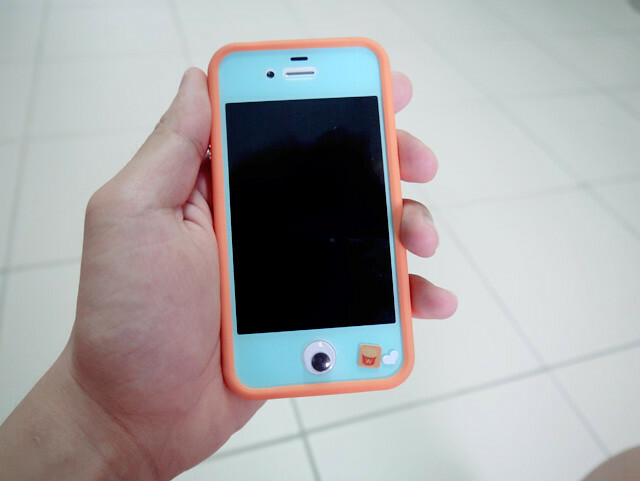 And the 'eyes sticker' is not really meant for home button one, but it fits and it looks really cute!!! 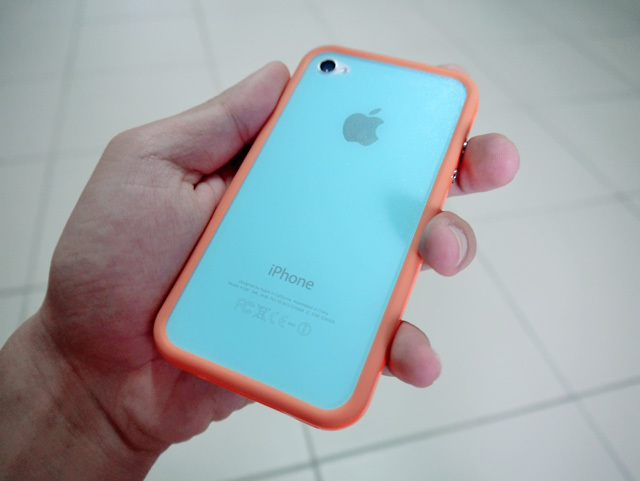 But I don't really like to use bumper though (I prefer normal cases to it), but that time I was using it plainly because I just wanna show the back of the protector that it's also blue as well, so yea! And to show you the glitter/diamond screen!!! 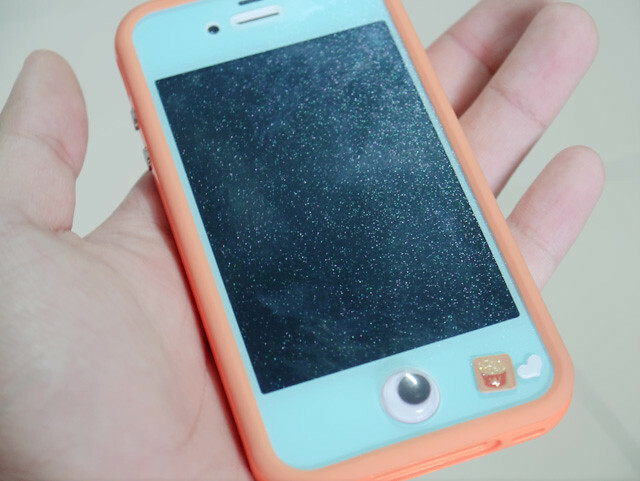 I love glitter or some people called it diamond screen protector, and previously I was already using it but it's the normal clear kind not coloured one! 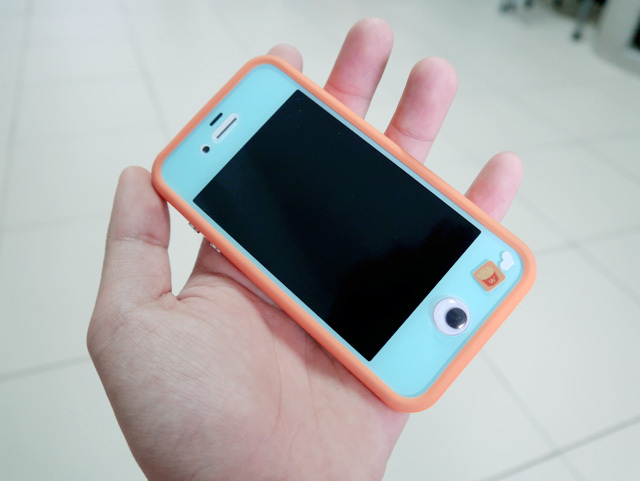 And when I know this blue coloured protector on top of it there's still glitter, I was like....... okay, totally must buy! Hahahaha!! A closer view under the lights! Lol! A even closer one! And actually the back it's also with glitter one! But cannot really see from this picture! With the cute lil Asparagus on my phone!!! Anyone (except me) also sees that he is smiling at the camera???! He is right!! HAHA! Okay, last picture of Asparagus with my phone! 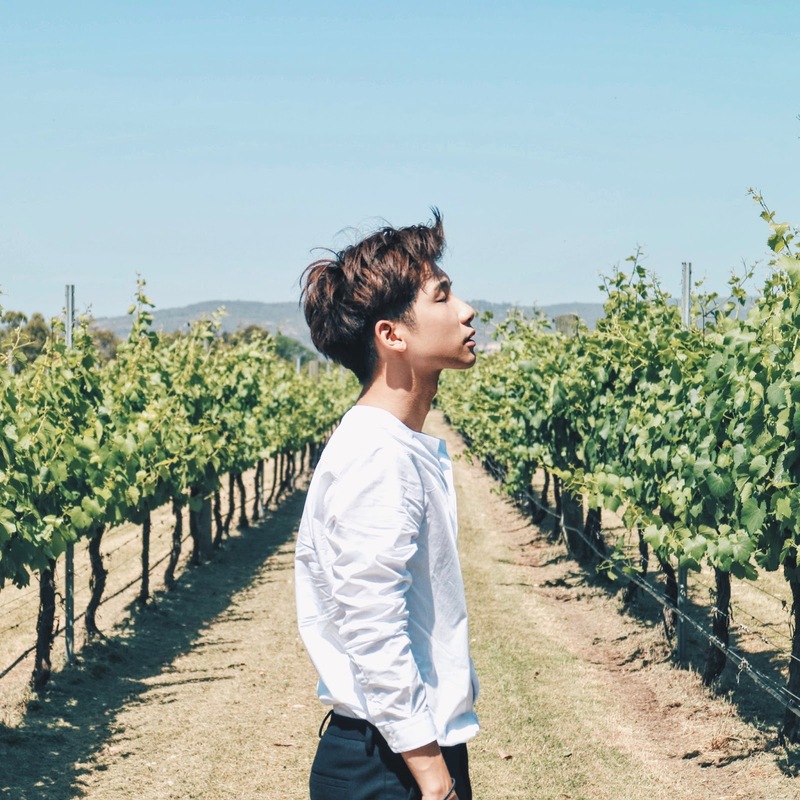 What camera are you using now? 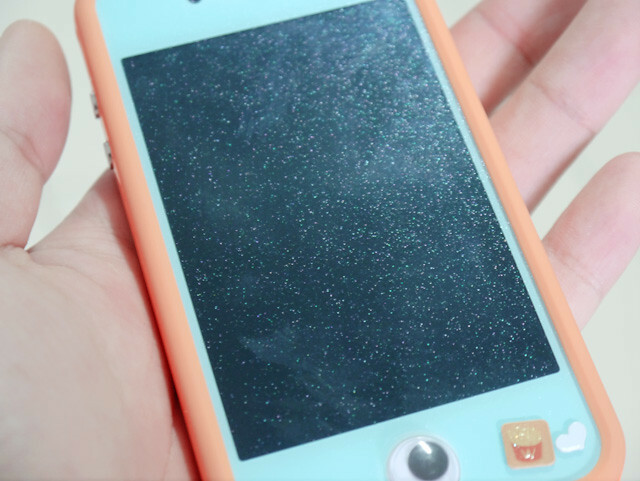 Hi, I'm wondering where did you get your glittery blue screen protector? Many thanks in advance! is it ok if i steal the pic with the terrappin?